Nutrient management questions are common for soybean across Minnesota as soybean is a major rotational crop in many areas. While our research has not always shown a great benefit of fertilizer applied directly to soybean it does not mean that soybean should be forgotten about when making fertilizer decisions. Even with yield levels less than corn, nutrient concentrations in the soybean grain are substantial enough where continual removal of nutrients can result in deficiencies over time. Here are a few tips based on current research to get the most out of your fertilizer dollar for soybean. Fertilization prior to the crop preceding soybean is common in many areas across Minnesota. Recent data suggests that soybean will respond to nutrients applied ahead of the previous crop as long as you apply a sufficient rate. If soils test low in P or K, you’ll likely be able to maximize yield of the first year crop but with an insufficient rate you may be losing out in the soybean year. For nutrients like sulfur, research has shown a greater benefit of applying ahead of the previous crop versus directly ahead of the soybean crop. Potash is the most economical source of potassium for crops. 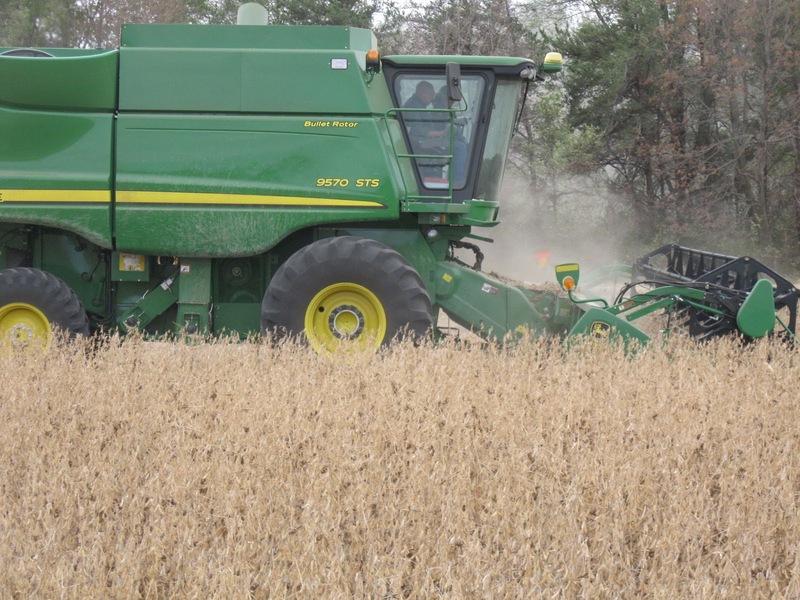 Research on soybean has been showing that too high of a rate may actually reduce yield when applied in the fall or spring directly ahead of the crop. If K is low or very low, it may be best to apply higher rates ahead of a preceding crop and limit any application ahead of the soybean crop to no more than 100 lbs of potash per acre. The reason for yield decreases in not completely clear but may be due to chloride applied with potash. Stay tuned as we continue to research timing and sources of potassium for soybean across Minnesota. Soil tests provide the best tool to make fertilizer decisions before planting. Plant tissue tests are being used but our research has not been able to identify critical levels of individual nutrients for maximum grain yield. Reports of wide-spread micronutrient deficiencies have been made based on tissue analysis surveys, but little data exists correlating these “low” tissue levels to yield reductions in soybean. Making decisions before the crop is planted is important to ensure nutrients can be supplied to the crop throughout the growing season. Research in Minnesota has not clearly demonstrated widespread need for micronutrients. Soybean may respond to manganese in high pH soil where the DTPA manganese soil test is 10 ppm or less. Zinc deficiencies are more common in corn and dry beans but have not been fully established for soybean in Minnesota. If the zinc soil test are very low, there may be a zinc response in soybean, but it’s more likely in corn. A broadcast application of zinc for corn at suggested rates should increase the soil test and negate the need for zinc to be applied ahead of the soybean crop. Prevalence of soils prone to IDC in central and western Minnesota can make growing soybean difficult. Variety selection is an important first step when dealing with IDC. Application of an ortho-ortho EDDHA iron chelate directly on the seed with the planter can increase yield in some situations. A targeted application of EDDHA can increase profitability by reducing costs in areas of the field not likely to respond to EDDHA.